Subtly faded denim shapes a pair of flattering straight-leg jeans accentuated with contrast topstitching and signature back-pocket embroidery. 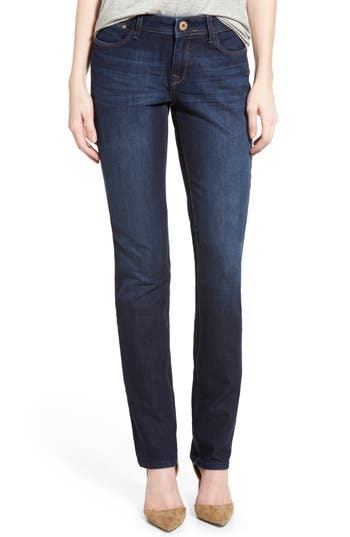 Style Name: Dl1961 'Coco' Curvy Straight Jeans (Solo). Style Number: 911259. Available in stores.